Great question! The short answer: long sparklers! (or extra long sparklers depending on your photo plans) Why? Let’s discuss the reasons that long sparklers are a MUST for special photographs. That’s how it works! The longer the sparkler, the longer the burn time! Whether you’re doing a grand send off or taking photos at your reception, the burn time is definitely an important factor. You want those sparklers burning as long as possible to prevent waste and multiple shoots. All of our sparklers are safe and should be handled with care at all times! However, extra long sparklers often make guests feel more comfortable as they hold them with their bare hands. Extra long sparklers used for photographs are especially important because they allow for more creativity and range of motion. You will be amazed the things you can do with your wedding sparklers! You saw somebody write love in their wedding photos. You could do that, right? Anything is possible; however, it takes time and practice to achieve that perfectly lit sparkler photo. Grab some of our long sparklers to ensure you are making the most of your product! Our wedding sparklers are already smoke-free, so we guarantee your photos will look fabulous with a little practice and planning! Make your photos pop with sparklers that won’t go unnoticed! Go big! 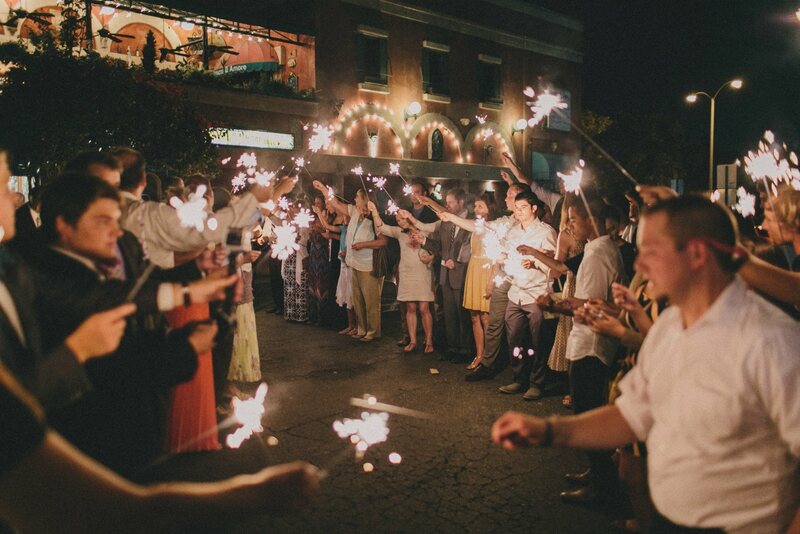 Your extra long sparklers will truly sparkle for your photo ops and send offs! What if there is a holdup or distraction from arriving at the exact send off time your guests were prepared for? Fear not, long sparklers will continue to sparkle until you arrive. Don’t miss the big moments when you can savor them, longer! At Wedding Sparklers Outlet, we want your special day to be perfect! View our website for additional decor to celebrate your momentous day! We encourage it!